As a wife and mom, I am always looking for healthy foods and healthy alternatives that fit in our budget. If you are like me, you have little ones that like to eat certain foods one week, and the next they want something else. What makes my family [a little] unique is that I am a vegetarian and I pretty much feed my son vegetarian, although he will eat the occasional food that contains meat. My husband is a meat eater and thankfully my choice in foods does not bother him. My son also has autism and is very picky about the foods he eats. Unfortunately he can’t always communicate with words what he wants to eat, so we guess or try to ask him what he wants. I was so thrilled at the opportunity to review three products that are healthy and delicious! My family and I received Sensible Portions, ZICO Pure Premium Coconut Water, and Acai Berry Juice by Genesis Today. Sensible Portions® innovative guilt-free snacks are designed to satisfy every craving, without sacrificing great taste. Sensible Portions®, the next generation in unique, better-for-you snacks, features products designed for the lifestyle demands of those who want to snack sensibly, anytime, anywhere. Sensible Portions® recently introduced Potato Straws, Apple Straws and Minor’s Gold to its collection of gourmet snacks. All three products are made from all-natural ingredients and contain NO preservatives and NO Trans Fat. They are perfect to indulge in during a movie, at a ball game or as a compliment to any meal. Additional products include Veggie Straws, Pita Bites and Multi Grain Crisps. All items can be found at grocery stores, delis and warehouse clubs nationwide. For more information visit www.sensibleportions.com. Founded by Naturopathic Doctor and Certified Nutritionist Dr. Lindsay Duncan (he has worked with Marc Jacobs, Demi Moore and others), Genesis Today features a line of 100% natural juices, chews and puddings that deliver amazing health benefits – the mission of the company is to change people’s lives through making better health accessible and affordable (the products are sold nationwide at Walmart- so they can reach the consumers that need them most.) The juices not only taste delicious, but they each have extremely high ORAC counts to fight free radicals, 200% daily value of Vitamin C, 1000% daily value of Vitamin B-12, plant derived minerals and zero sugar. The products arrived just a few days before we left for our vacation, so we had snacks to take on the road with us. My son loved snacking on Sensible Portions because they came in a “noisy bag” which you may know as a chip bag. He also prefers foods he can eat with his hands! I didn’t feel guilty giving him the Potato Straws, Apple Straws, and Veggie Straws because they do taste delectable. Not only that, they are made from all-natural ingredients and contain NO preservatives and NO Trans Fat. They are made with real ingredients! My husband and I did have a chance to have a few bites of each since my son wanted to open a bag and have a few bites, then hand us a half eaten bag and want to open another. So, the Sensible Portions are approved by my entire family! 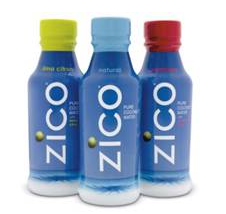 The ZICO Pure Premium Coconut Water is lightly sweetened with the following flavors Natural, Pomberry, Lima Citron flavors, and Pina Tropicale. The taste is ever so slight and not sugary tasting. I’ve never tried coconut water and I do have to say that it’s refreshing, hydrates the body and so good for you! It’s packed with nutrients without the extra calories. I was sent an 8 ounce bottle of the Acai Berry Juice and all I have to say is, “Where has Genesis Today been all my life? !” I guess I never noticed it in the store, but now that I know about it, I need to keep it in my fridge! 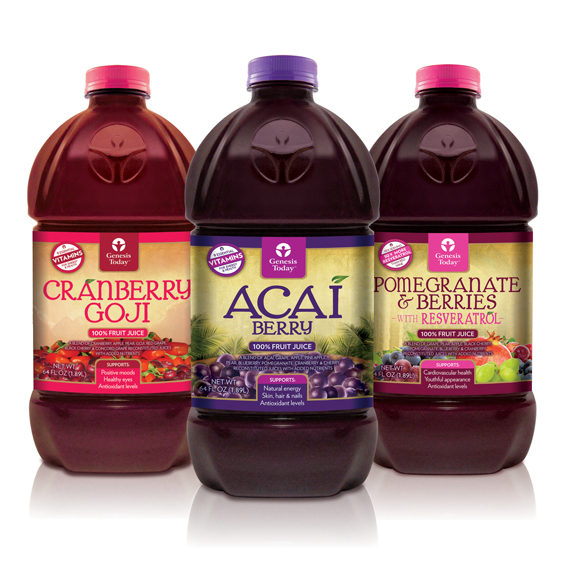 Acai Berry Juice is a product that I do need to drink daily! It helps keep your skin, hair, and nails looking healthy. It also helps control weight, and adds energy and endurance. The Acai Berry Juice by Genesis Today is full of flavor and very savory without the sugary sweetness. The following review was written by Stephanie, the owner of Beauty Brite. The opinions provided are my own and not influenced by anyone else. I did not receive any financial compensation for this post. I received free products to facilitate my review.